Daniel Read Anthony letters covering 1858, 1861 and 1862. Daniel was an abolitionist and free stater, and served two terms as mayor of Leavenworth, Kansas. 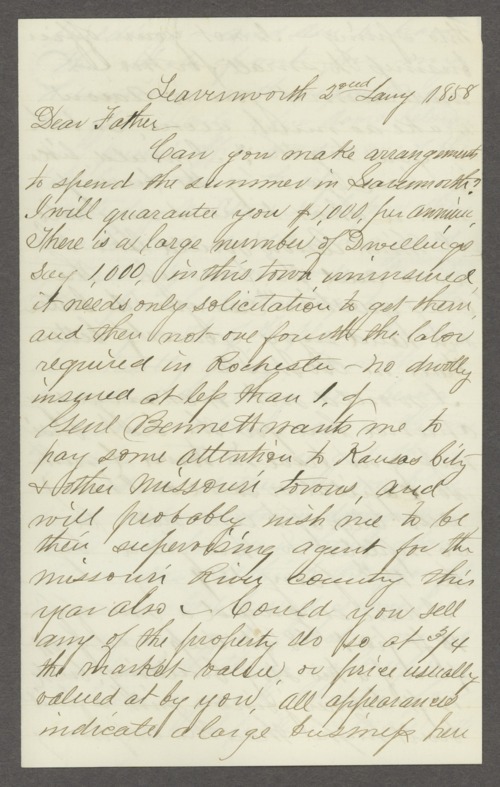 These letters focus on the struggles between the Border Ruffians and the Free State men, military matters, politics, and speaks of freed slaves he has met who want to incite insurrection among other blacks.